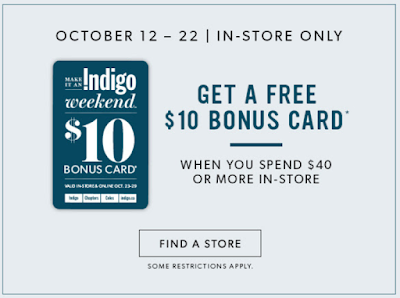 You can get a free $10 bonus card when you spend $40 or more in the Indigo store. 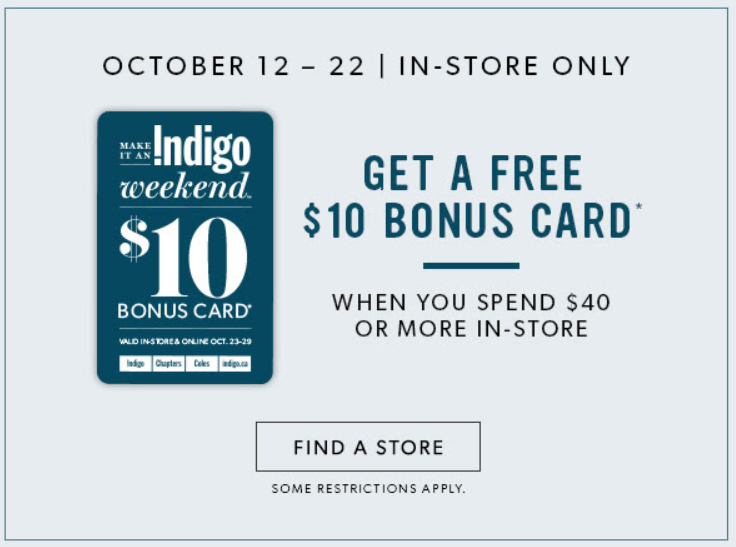 The bonus card will be valid between October 23, 2017 - October 29, 2017 in-store and at indigo.ca. Note: Excludes American Girl services, gift cards, irewards memberships, and Love of Reading products and donations. Limit one card per transaction.